The Mark Gen2 series of single point mechanical presses are stronger and more feature-packed than any gap frame presses on the market today. The Mark Gen2 is the perfect press for single-hit forging/trimming applications. 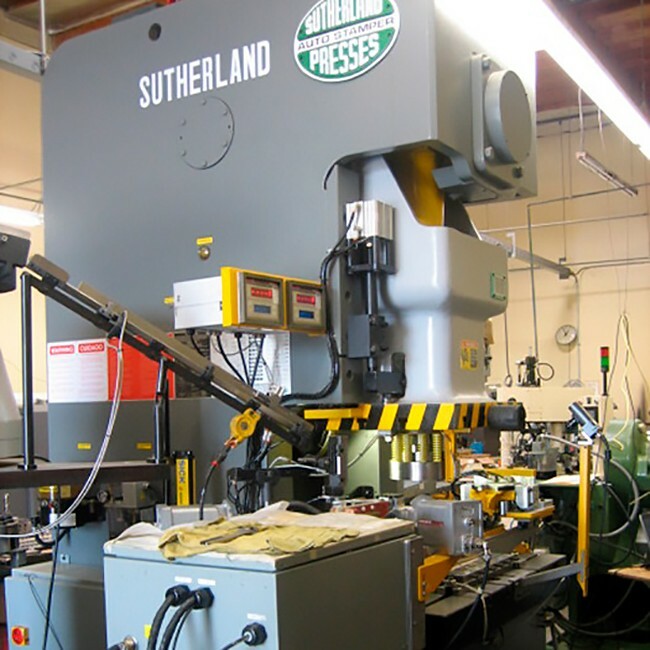 These presses are built for tough jobs, featuring a cast slide body, stress-relieved welded steel frames, and extra steel in the “C” section to reduce angular deflection under full load. The Mark Gen2 series also features 6-point full-length slide guides, providing outstanding position repeatability, allowing for longer die life and higher quality parts. A super duty drivetrain with larger flywheels and crankshafts rated for 150% overload combine to provide for a higher energy rating curve ABDC.